Remember when you responded to 100 emails a day using this? Remember when it seemed every banker, business person, politician, and anyone else that needed email on their cell phone all seemed to be on Blackberries? Those days are starting to go away. Research in Motion, the producers of said “Crackberries” posted earnings yesterday and they were dismal. 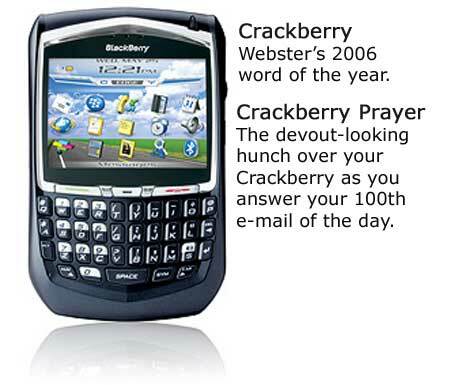 So how did the great Crackberry go down? First, RIM can blame Steve Jobs. Apple came out of nowhere and started the iPhone. A smartphone that was almost as good as Blackberry for the technical side but winning on the social side. I mean, the best Blackberry had for social was being able to connect for chatting and not to mention the Blackberry Messenger. BBM remains important, but it’s lost out to Apple’s iMessage in a way… though I think it would be better if iMessage was more separate than text messaging. Second, and maybe part of number one, RIM can blame Google’s Android. Android came out as a respond to the iPhone, but with a lot more open programming. The tech geeks (whom I know plenty of) love Android because of the open source attitude they have. Don’t forget about the tech geeks. Maybe it’s the business users that drive the market in the short run, but its the geeks that drive innovation in the short and long run. Third, they jumped into changing their game too late. Only now they are starting to dramatically change things. They acquired a company with a new OS, QMX, that has been going on since 2010. But Apple released the iPhone in 2007. That’s way too late, especially when things change all the time, especially in social media. In the end, what does this mean? Right now, RIM’s book value is 19.00 per share or so and it’s trading at about 13. This is not a good thing. I’d be short RIM long term, which is sad in my opinion. I love the fact that their OS is very technical. The problem is there’s no market for it. MS-DOS got beat out by Windows. Windows is close to being beaten out by MacOS. It’s the circle of life. While I love the technical side of RIM and Blackberry OS, it just won’t stand. Phones are meant to be social and for business. Apple and Google got it. RIM only focused on the business, and that’s they’re downfall. While I still think they can compete, I mean I’d rather have a Blackberry for work than an iPhone (if only for the keyboard), Apple will win out. Or Google will, seeing as they have phones with keyboards. If this were a chess game, I’d say, RIM, check (and your options are limited). iPhone vs. Burrito – and the Burrito wins!